It’s been a little quiet on the blog here at Cutting Edge Digital lately – but for very good reason! Besides being super busy with all my client work, I’ve recently started writing for SM Perth, one of the leading sources of all things social in Perth and across Australia. The lovely Meg Coffey asked me to write for them and of course I jumped at the chance! Most of their blogs are social media related but I’ve also been writing ones that focus on all forms of online marketing, such as blogging, content marketing, SEO and Google AdWords. Because we all know that a holistic approach to online marketing is key in 2017. 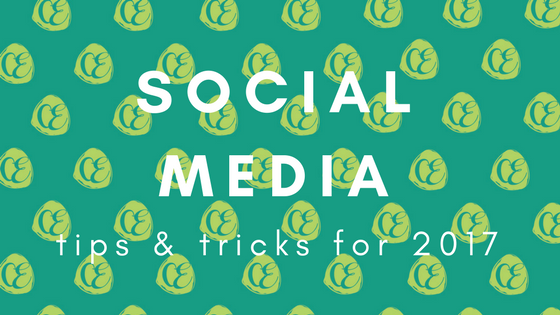 So I thought I would share a little round up of some of the most recent articles I’ve written for SM Perth, with some interesting social media tips and tricks for 2017. If hashtags and Twitter are not your thing, this blog shares some simple ways to find the best and most relevant hashtags for your niche to help you get better reach on this platform. Getting the most data out of your social accounts is essential to help inform your ongoing strategy for social media. Find out what tools you can use for Instagram Analytics and what data they can give you. Running a successful Facebook competition isn’t as easy as it sounds. To make sure it has value for not just your audience, but for your business as well, read 20 simple tips about this now. Do you understand the stats that you can see in your Insights on Facebook? If not, this blog is for you! SM Perth serves up regular, interesting content around marketing, social media, and the online world. Head over to their website to subscribe and find out about their regular monthly event where you can meet others who work in the social and online marketing space right here in Perth. Their venues are always trendy and cosy, and you never know who you will meet!